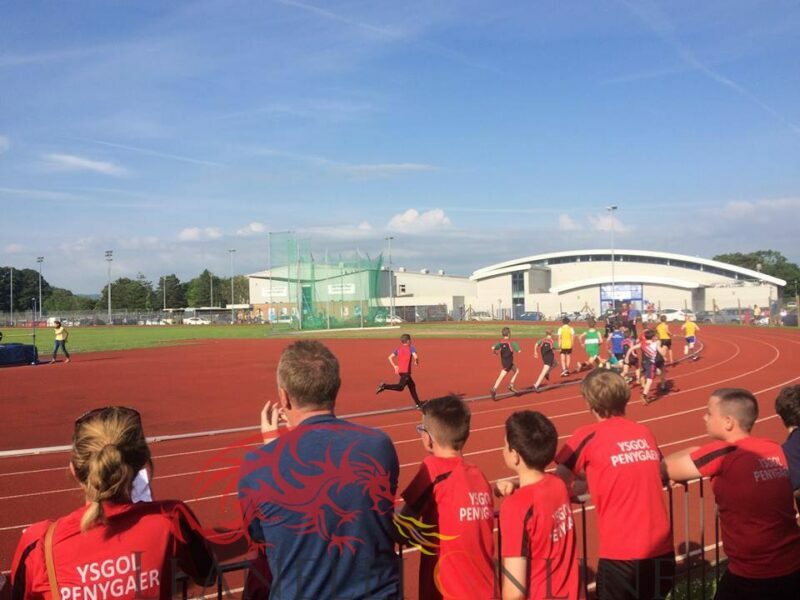 Carmarthen hosted the ever popular Dyfed primary schools athletics championships last Wednesday evening (14th June), which again delivered as they turned up in their hundreds. Following excellent numbers at the Dyfed cross country edition at Nantyci’s United Showground back in March, attention turned to the track and field athletics. On a pleasant, warm and sunny evening in West Wales after a rather wet and windy weekend which resulted in the cancellation of the secondary schools competition, the 30th annual event sponsored by McDonalds and the Rotary Club of Carmarthen attracted an impressive number of just under 400 athletes. 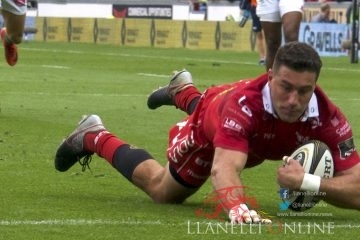 The dry weather helped boost the numbers of spectators that were in attendance from Pembrokeshire, Carmarthenshire and Ceredigion. 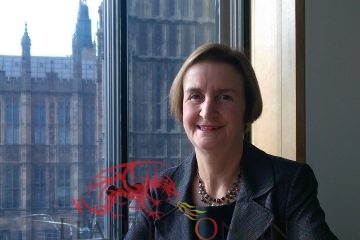 The championships have grown every year since Hedydd Davies, Carmarthen Harriers Chairman organised the first event twenty seven years ago in 1990. 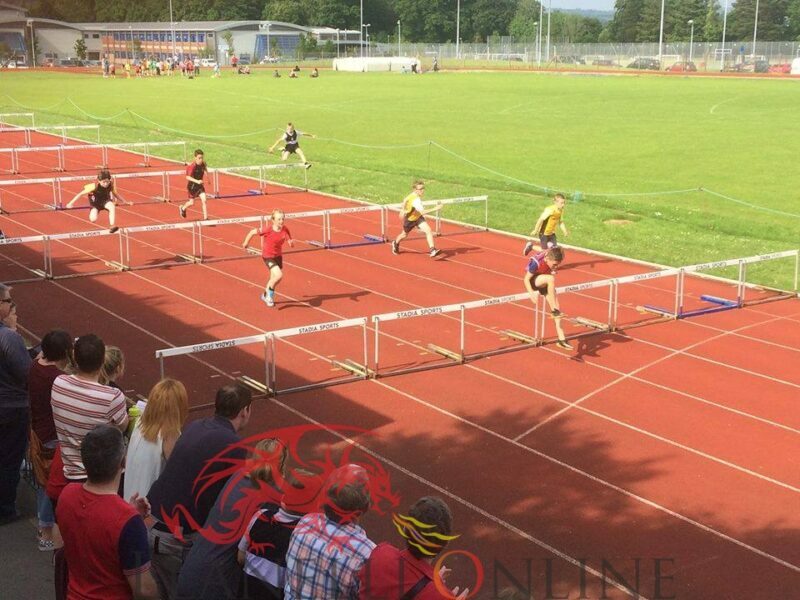 The schools athletics season in Dyfed continued with the annual midweek Dyfed championships at the leisure centre facility in Johnstown as approximately 45 schools from across the three areas participated. Once again the track was full, car park packed and food was quickly sold, with plenty of local talent out on show watched on by family and friends. The event timetable included a series of 14 events in total and saw the championships go on until late. With races coming thick and fast, the 100m & 800m were popular with a number of heats having taken place and completed – 35 heats, 6 finals, 2 time trials and 6 field events. The winners this year for 2017 was Ysgol Y Dderwen, the Carmarthenshire schools athletics champions last month, scoring 49 points and finishing off in style with both teams in the relay finals. 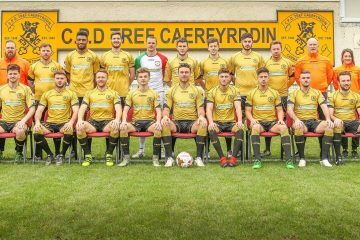 Ysgol Aberaeron was rewarded for their long journey down south with a second place finish (26). 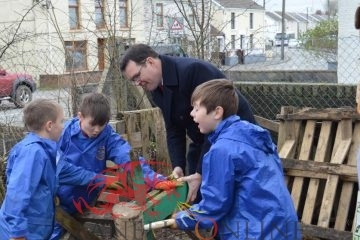 Not far behind were familiar top placing schools: Ysgol Iau Llangennech with 24, Ysgol Griffith Jones (21) and Ysgol Gymraeg Rhydaman (20) A total of 30 schools scored, more than ever before. Special guests were on hand to help with the presentation of awards to the top 3 in each event with a good crowd staying on as darkness fell to cheer the athletes who made it onto the podium. Presentations were awarded by: Cllr Irfan Jones, Chairman of Carmarthenshire County Council, Cllr Phil Grice, Sheriff of Carmarthen, Raja, the President of the Rotary club of Carmarthen and Lynette Harries, President of Welsh Athletics who were all impressed with the turn out and the standard of the competition.